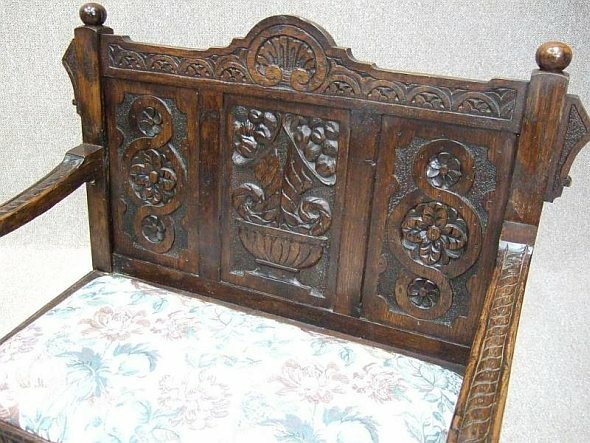 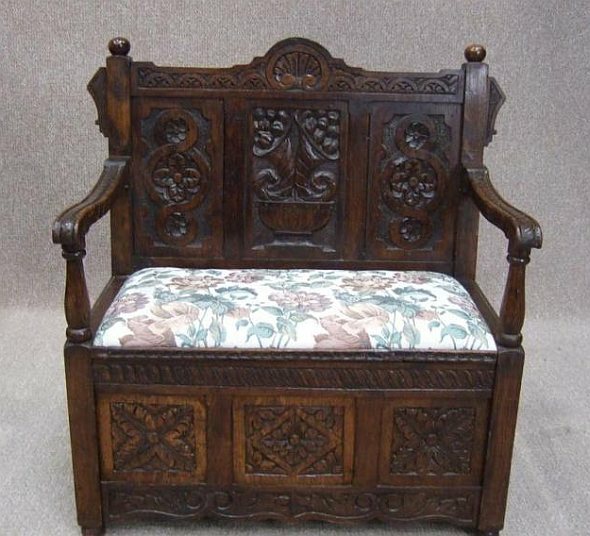 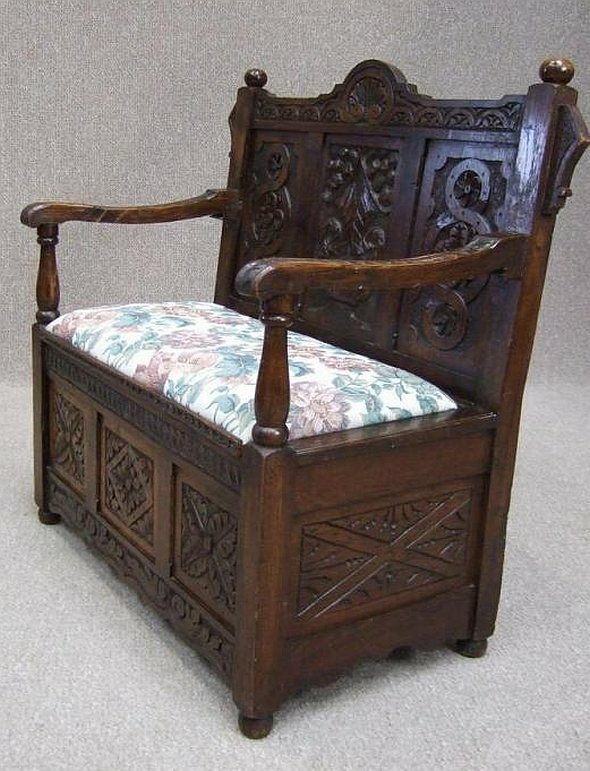 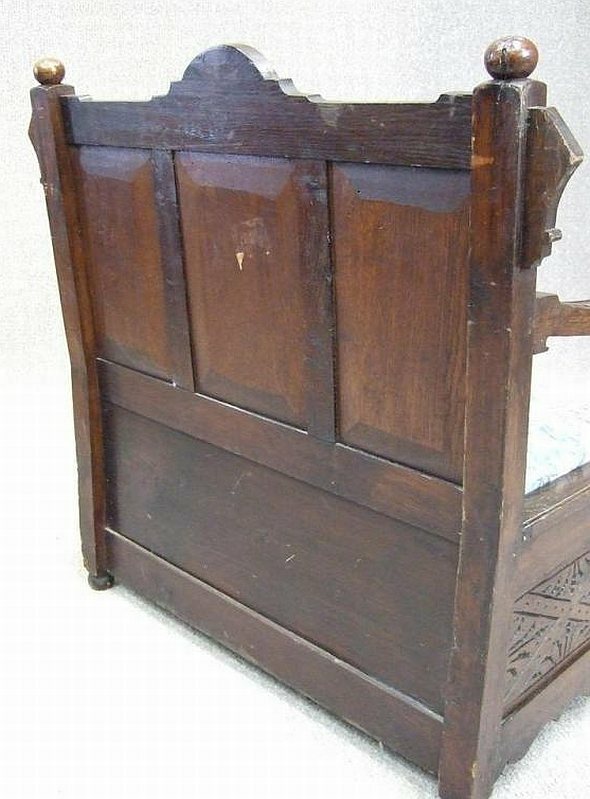 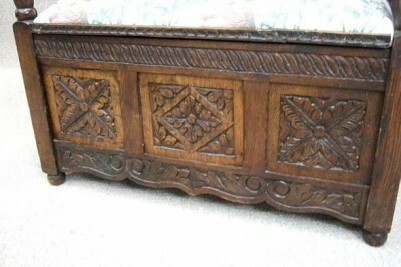 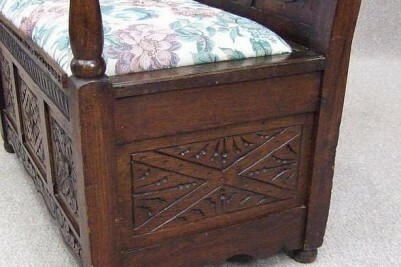 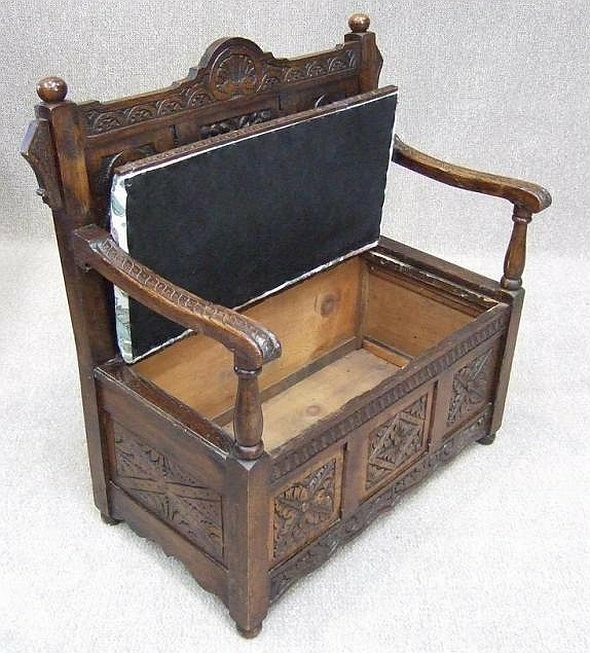 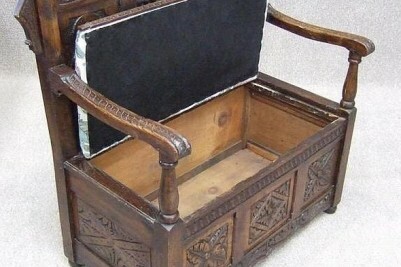 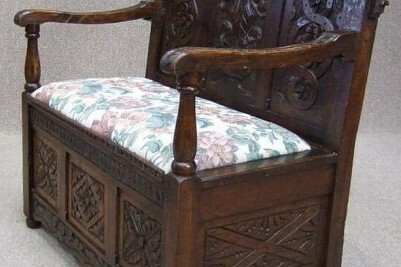 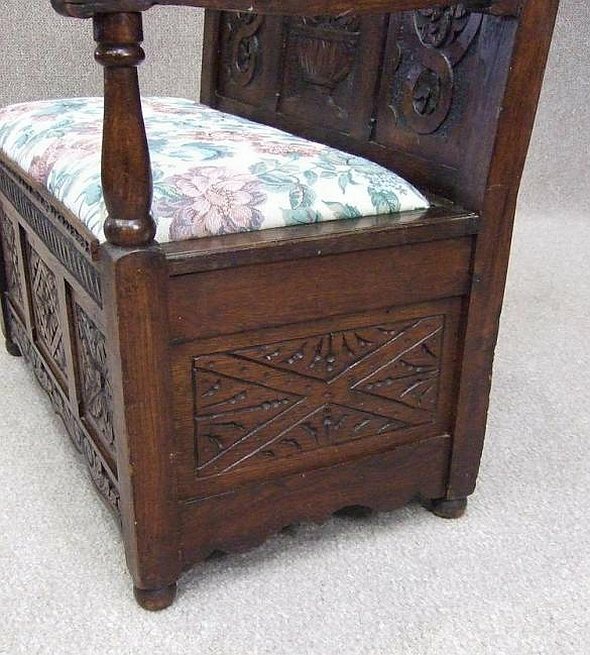 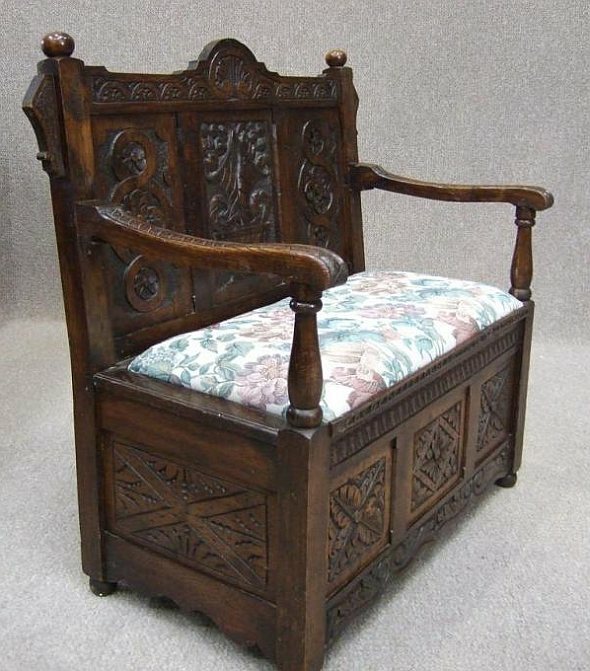 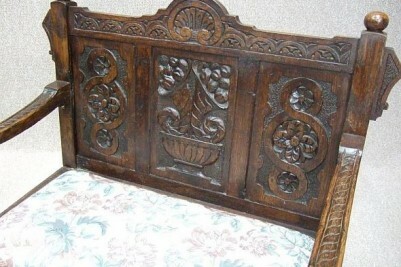 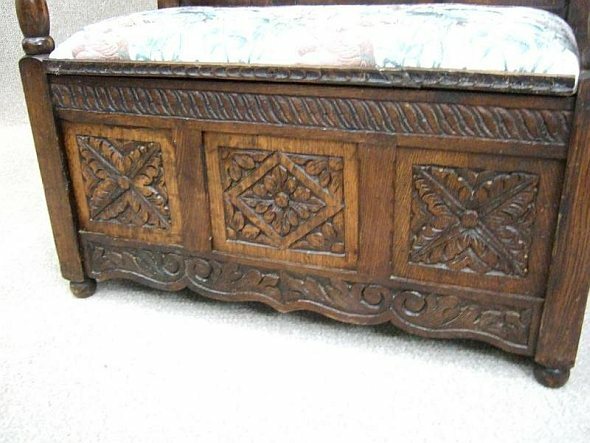 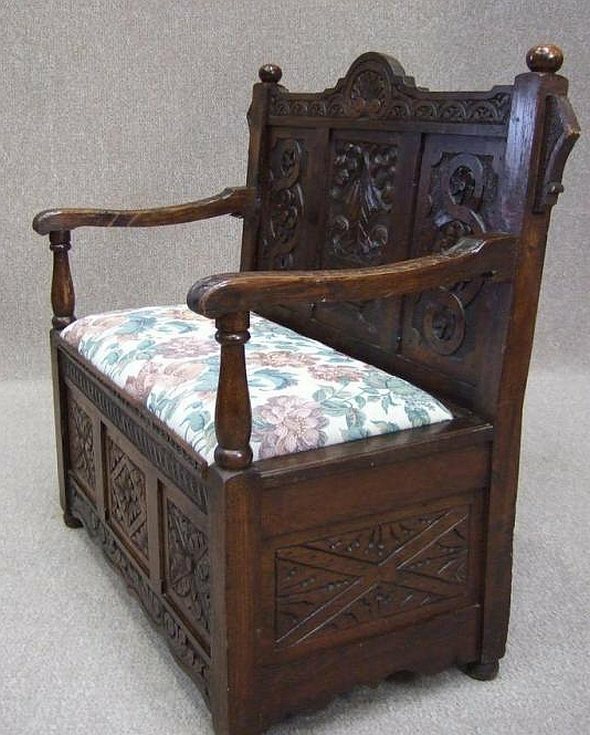 An attractive, late Victorian carved Oak box settle. 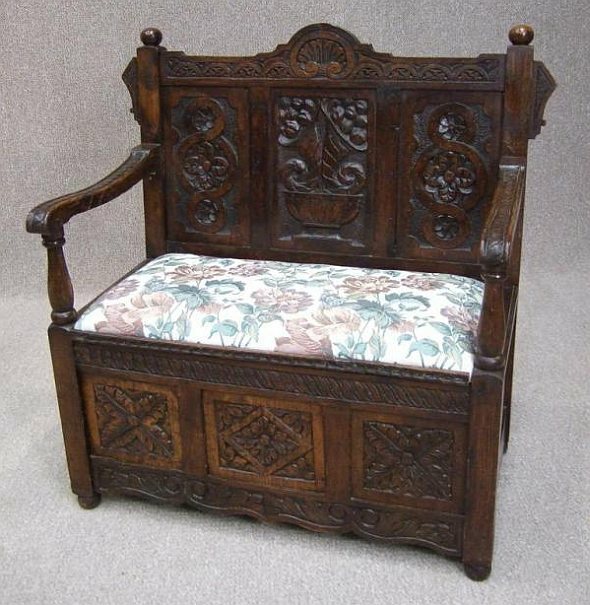 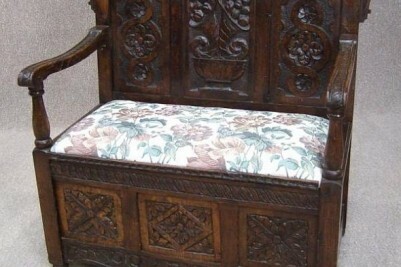 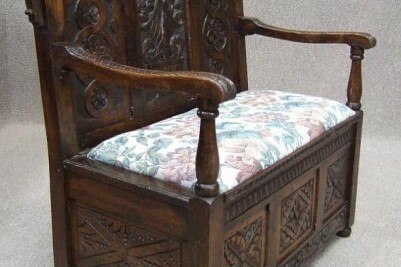 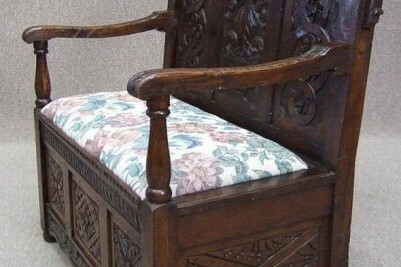 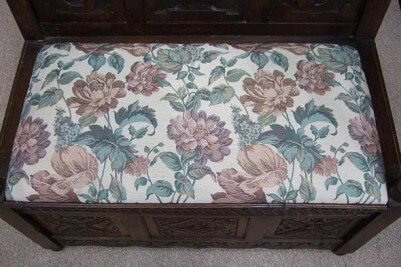 With its uniquely carved back support and base section, this settle has been carved in an earlier style. 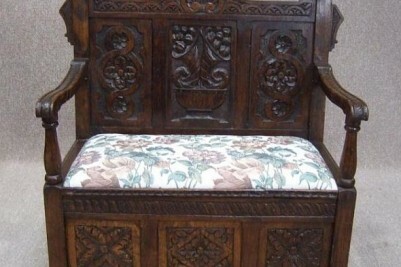 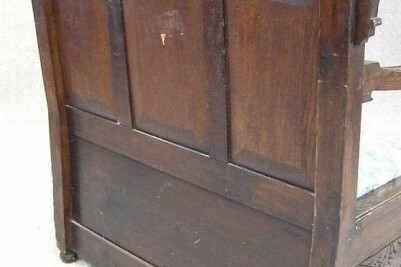 It has a newly upholstered lift up seat providing a useful storage area; ideal for any hallway in any period property. 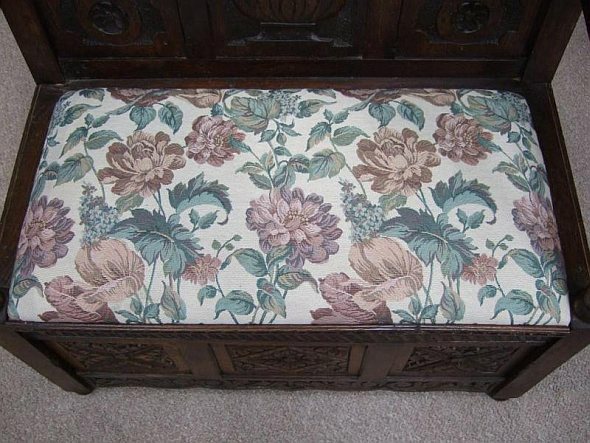 This item is in lovely condition for its age.